A Turn-Key System composed of Top Quality Hardware, Award-Winning Customer Support and an Industry Leading Warehouse Management Software. 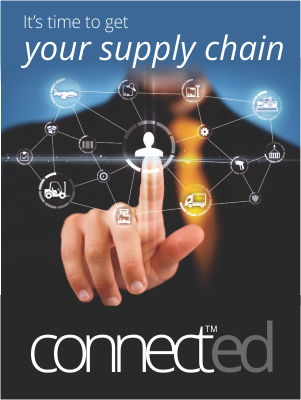 Businesses that handle inventory in the Supply Chain industry often underestimate their full potential and limit their growth and success due to their limited resources. These resources would include a pen and paper process or a legacy system that requires manual labour and more often than not result in inaccuracies, fixed location activities and inefficient operations. Warehouses using these methods to complete daily tasks aren’t maximizing on their capability to grow and succeed in the industry – decreasing their chances to obtain future customers and retain the loyalty of their present customers. As an impacting widespread problem across North America, Systems Logic was determined to eliminate this issue using their extensive warehouse management expertise. Once developing a warehouse management system called Wireless Warehouse In A Box™, industry verticals like 3PLs (Third Party Logistics), Distribution, Fulfillment and Manufacturing businesses have been able to strive beyond anything expected. As a leading warehouse application, and overall turn-key solution Wireless Warehouse In A Box™ is proven warehouse software, developed by passionate team members to drive your warehouse into growth, success and to amplify customer satisfaction. We are determined to eliminate your warehouse inventory management problems. 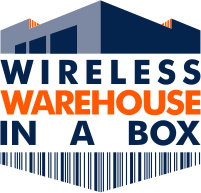 Wireless Warehouse In A Box™ – Your Revolutionary turn-key Warehouse Management Software capable of providing you with complete power and control over your warehouse. Wireless Warehouse In A Box™ software is integrated with our connect™ Cloud, LTL, Pack, Labor, ERP, EDI and Client components – These innovative features are fully functional and integrated into our cutting-edge Warehouse Management Software providing you with more than standard control over your warehouse and your customers inventory. After agreement to benefit your warehouse with our solution, the Systems Logic team will assist you and your staff in the implementation process where we will attend your facility and help guide you through the steps in order to integrate the system. This implementation will consist of hardware integration and/or installation, quick and easy software installation and thorough employee training and guidance to assure efficiency for your daily operations. Our goal is to ensure that you aren’t just provided a product, but a complete service you and your customers will be sure to benefit from. We aren’t just providing you a product, we are providing you a value added business relationship. 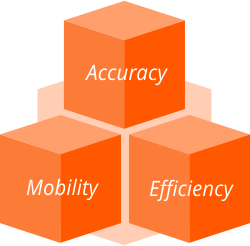 We have identified accuracy of over 98%, streamlined reporting/billing functions and a standardization process throughout our business model. President, Simtech - Supply Chain Management Ltd.
Vice President Finance, D+S Distribution Inc.